RABs inaugural visit to Vietnam in May 2016 was of special significance, being the 1st expansion into Asia with a live lecture series. The size and scale of this visit being quite different, with over 80 medical staff in attendance. RAB encountered its first challenge with language, but was very thankful to 2 local doctors who were fabulous interpreters! RAB covered topics such as liver tumours and abdominal imaging, ovarian tumours and prenatal testing. All pertinent areas of pathology for Vietnam. RAB is excited to be returning to Vietnam in 2017. 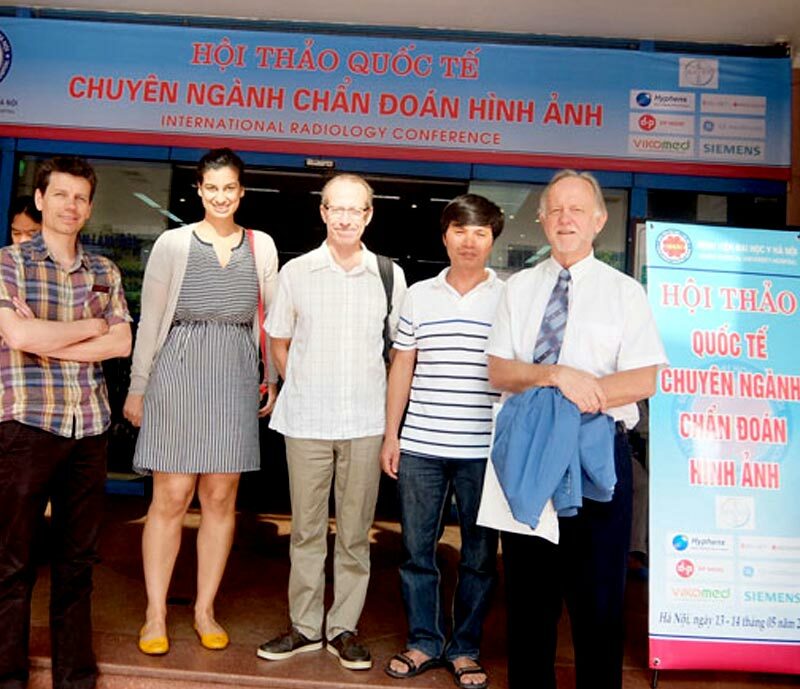 Dr Greg Briggs (Sydney) took the lead in organising the first trip to Vietnam and was joined by Dr David Mitchell (Gold Coast) and Dr Rupinder Sekhon (Perth) in Hanoi. Radiology Across Borders trains local doctors in developing nations to use the power of radiology to save lives.